1 inch ginger, peeled and coarsely smashed. 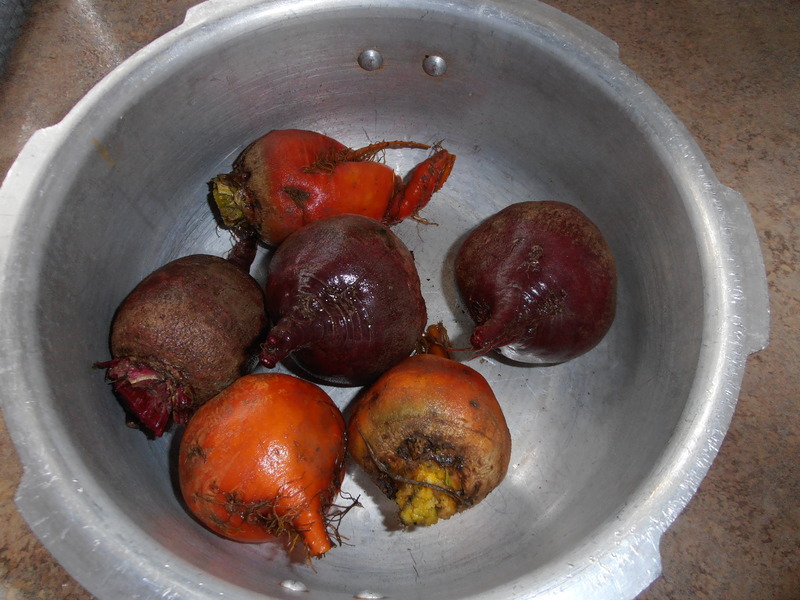 Cook Beets in pressure cooker – one whistle or it will turn to mush. Remove from stove and run the top of the pressure cooker under a cold tap. When the pressure has diminished, open the cooker and remove the skins. They will slip right off. Dice the beets. Heat oil in a pan and add the ginger. Cook until the ginger turns a golden color. Add beets, chili and turmeric powder and salt. Cook on low heat for 4 minutes. Garnish with mint.